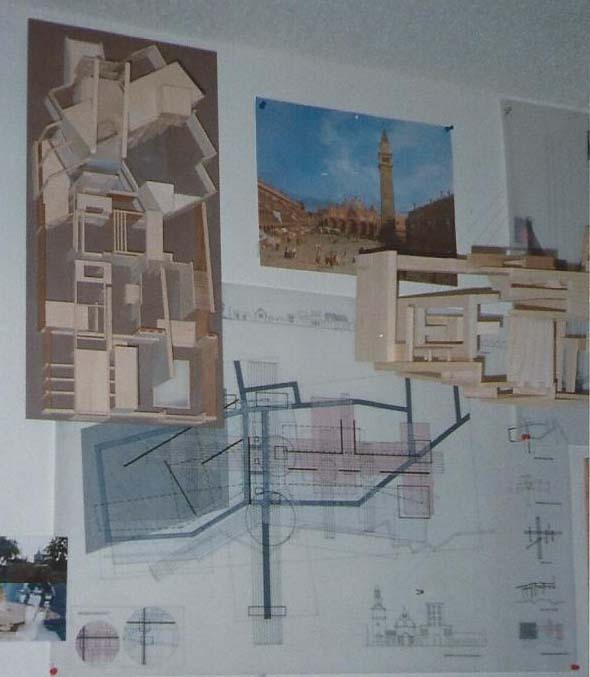 Long, long ago, in a galaxy far, far away, I once knew an architecture student who was assigned a project where she was to visually represent a movie with an architectural model. The resulting sculptures were fascinating to say the least. I began to wonder if movies that I liked would look similar in this static form of 3D rendering. Would movies I didn’t like look different? For example, two movies I love that (on outward glance) don’t appear to have that much in common are Star Wars (Ep 4: A New Hope) and The Princess Bride. However, I don’t like Star Wars (Ep 1: The Phantom Menace). Would an this kind of analysis and construction of a three dimensional, static, architectural model actually show that, despite the similarities in name, Star Wars/A New Hope actually has more in common with the Princess Bride than it does with Star Wars/Phantom Menace? Indeed! If you look at the structure of Phantom Menace, strictly from a time/scene standpoint, for example, clearly the pod-racer scene takes up more than one third of the total time of the movie. In our architectural model, this might look like one gigantic room, overwhelmingly unbalancing the overall aesthetic appeal of the structure. Would the models of The Princess Bride and A New Hope appear more balanced? What other similarities would exist in there visualized structures? What other ways are there to visually represent the abstract concept of a story through a three dimensional architectural model? Is it possible to identify well-constructed movies by looking only at the models produced, without actually seeing the movie? Does this hold true for good writing as well as film making? As writers, how can we apply this concept to our work? Conceptually visualize your work as a three dimensional space. Sketch it out on the back of a napkin, if that helps you. By looking at it in another way, it can help keep you focused on always creating balanced, engaging writing that is a pleasure for your audience. This entry was posted in Geeky stuff and tagged engagement, marketing, star wars, writing on January 22, 2013 by stacydyer.